Services were held at Mandurah, Pinjarra and Dawesville to commemorate those who had died in wars, conflicts and peacekeeping operations and the contribution of those who served in the armed forces. Numbers were down from last year, which was the Anzac Day centenary. The respectful silence at the Mandurah dawn service was broken only by a rogue drone flying overhead, taking pictures throughout the ceremony. People in the crowd commented on the disrespect shown by the drone’s operator who frequently interrupted the ceremony. 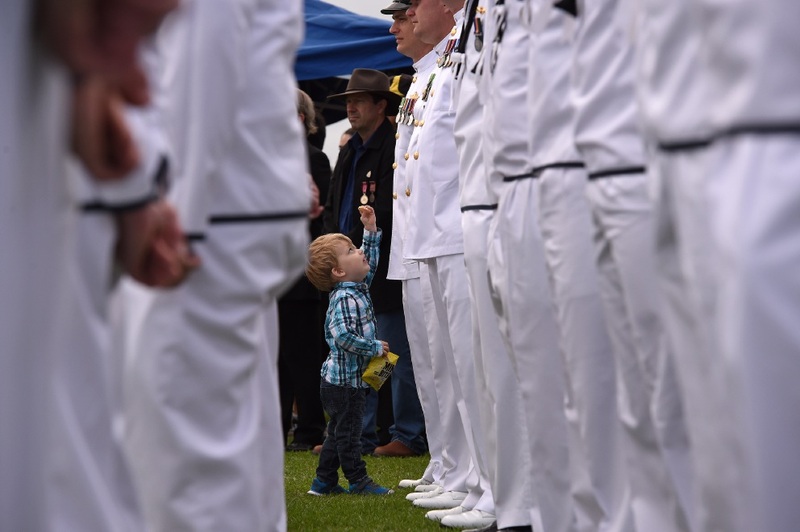 Mandurah RSL president David Mabbs welcomed families and children experiencing the ceremony for the first time. He reminded the crowd that it was 100 years since Australia lost more than 46,000 men on the Western Front in WWI – The Great War. He also pointed out that it was the centenary of the first dawn service. Reverend David Oxley said the opening and closing prayers. He called for peace not only overseas but within the Australian community. As the ceremony ended and the rain began to fall, people approached the war memorial to pay their respects to the fallen, showing the Anzac spirit remains strong in Mandurah and cannot be dampened.